GSM Arena has reviewed this new mobila phone from Nokia, the 5500 Sport. Now we present you the first and only Nokia sport smartphone. The 5500 Sport model combines rubber and steel. It also has an uncommon square-shaped display and a bean-shaped body. It pronounces text messages and is prone to fingerprints. Last Wednesday Nokia introduced a new splash and dust resistant model. 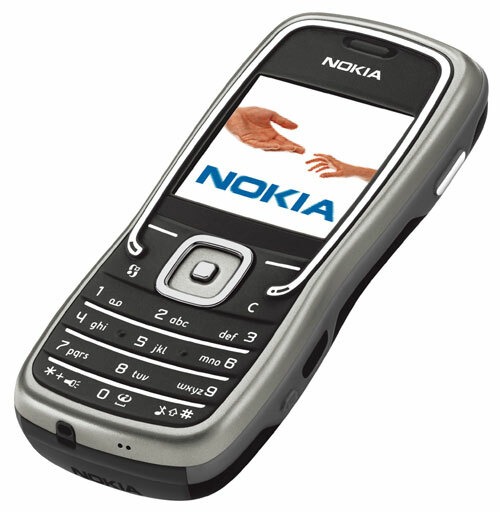 It seemed that after the tourists' and climbers' favorite phones, 5140, 5140i and 5210 models, Nokia wouldn't introduce anything suitable for sand, slough and water. Nokia proved us wrong as they offer us the 5500 model running on Symbian 9.1.